Looking forward to finally seeing Project Scorpio and hopefully Microsoft have got some big exclusives. Moving the MS Conference to the Sunday night (UK time) is a great move too, can watch it in peace without the kids screaming. While somewhat interested in Scorpio...can't say that I'll be in the market for it, MS got my $$ for a console already. XB exclusives are always a draw tho, fer sures! That said, if Sony knocks down the cost of a PS4 pro...(or at least announces a worthwhile bundle) - I may give it a look. 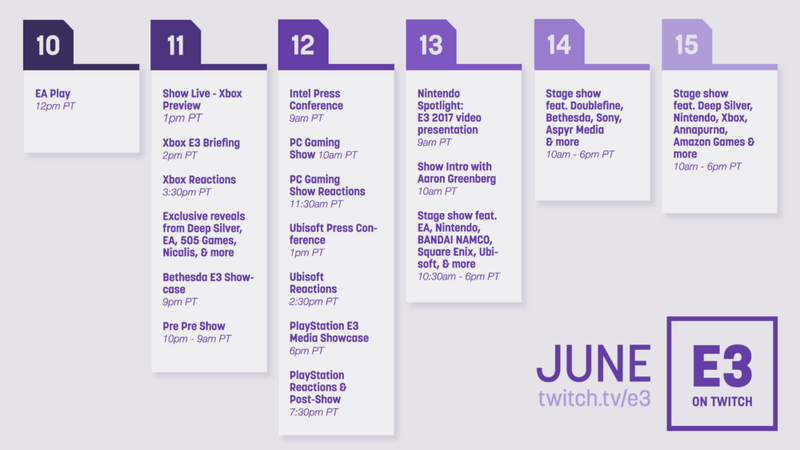 Anyone looking to get their live fix of the Xb1 E3 live conference and not on their console - presentation begins at about the 35 minute mark. The Bethesda Presentation was short (about 30 mins) and kinda sweet, filled with fan favorites, although with little "newness" to show. Video should drop you at the countdown or near-abouts If not, head to the 3hr mark and it should set you up. Wolfenstein looked great, not seen the rest. The MS show was good, some quality exclusives coming and Anthem at the end looked incredible, just need to see more gameplay.